Paris Saint-Germain's 2-0 win does not mean Manchester United are unable to qualify for the Champions League quarter-finals, said Ole Gunnar Solskjaer. Presnel Kimpembe and Kylian Mbappe converted crosses from Angel Di Maria in the space of seven second-half minutes to give PSG a comfortable cushion in the last-16 tie. United's task was made even harder by Paul Pogba's dismissal for a second bookable offence in the closing stages at Old Trafford on Tuesday. 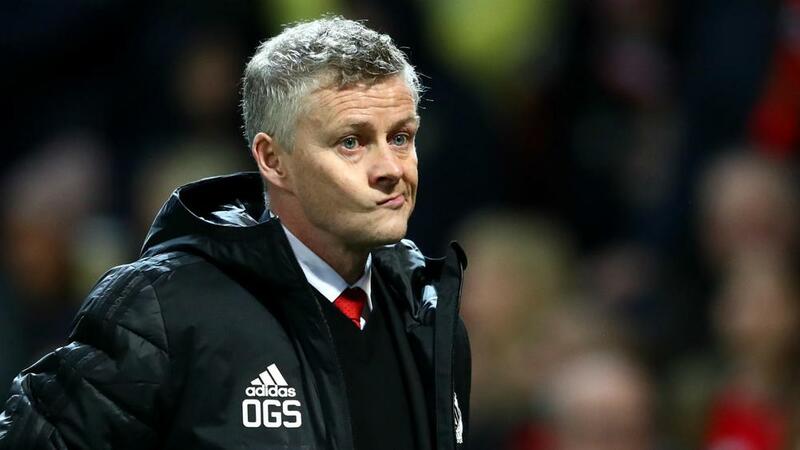 But while caretaker manager Solskjaer - whose side were beaten for the first time since he replaced Jose Mourinho in December - accepted United have a tough task in Paris next month, he will not give up. "Mountains are there to be climbed," the United boss said to BT Sport after the club's record home defeat in Europe. "We can't lay down and say it's over. We have to believe in ourselves and learn from today. But it was a reality check on our level compared to the top teams. "It looked like the game we thought it would be. In the first half there wasn't much in it but the first goal, it's a poor goal to give away from a set play, and then they got the momentum and controlled the game. "You can see we've not played at this level for a while and we have to learn from the experience. It's not going to be a season-defining one for us. It has to be one that we're going to learn from." Pogba appeared to lose his discipline with a late foul on Dani Alves earning the France international another yellow card after he was booked earlier for a challenge on Marco Verratti. The midfielder has scored eight goals in his past eight Premier League appearances and will be a big loss for United in the return leg on March 6, but Solskjaer defended Pogba. "He's trying to get his body across and Alves is clever to put his foot in," Solskjaer added. "I know Paul wanted to steal the ball and he's unlucky."